With so many rope sout there and so many people trying to sell you the one that can do everything, what information can we really take on board. So will one rope really be enough for all of our climbing needs? In short no…..
Used in a single form as the name suggests. Used for rock climbing, suited for climbs that require little wandering about and are relatively straight. Single ropes are getting thinner and it is possible to get two 9mm ropes and use them as half ropes, this broadens your options especially if in a working context having two people on one rope for short roping. Abseils are possible with single rope but have to be double up so can limit your decent options on longer routes. Half ropes, are recommended where the routes may be of longer length, may have gear that is not the best so you go with safety in numbers, maybe want to create a baby bouncer effect with the gear or routes the meander and would cause rope drag if using a single. Not used as much as newer ropes are getting less in diameter and having greater uses, both ropes are required to be clipped into all clips, and ropes tend to be very thin. This saves on weight for carrying between two climbers and allows the ropes to be used as a single but giving the advantage of a full rope length abseils. Alpine routes with planned abseil decent. 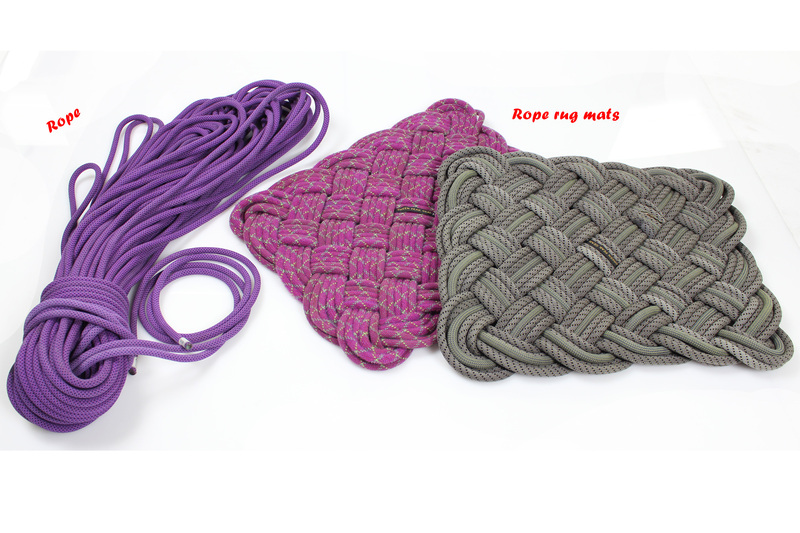 These ropes are specific to mountain walks or glaciers, often very thin to save weight but if being used in a short roping/ security on steep ground context these ropes can be very dificult to hold. These ropes are not suitable for climbing or mountaineering. After deciding which type of climbing you will be doing most of I would probably go for a rope that best suites this style of climbing. I have no rope I use more than others but will tend to stick to specific trends. If i’m out sport, single pitch climbing or climbing at the indoor wall I will take my single rope. If I was going on a mountain crag/sea cliff climbing or big mountains I use twin ropes. I dont own a set of double ropes as I take my skinny half ropes which weigh minimal but have more uses. The thinner your ropes the more they will stretch, wear out faster & may be harder to hold a fall. However they will be lighter and easier to carry while trying routes at your limit. Thicker ropes will be heavier and harder to carry as more bulky. These will last longer though, not stretch as much and are better as a rope for starting out. Your belay device can play a very important role and always do your research as to what device works better on thin/thicker ropes. This is very simple…… are you going to climb in the wet? I always stay stick to what you know, personally I use Beal ropes. I find these last long, feel good to use and have excellent choice of colours! Single rope I use for sport climbing is Beal Verdon or Top gun…. The Verdon is 9mm and 60 mtr long, the thinnest rope you can have on a single and 70 metres as lots of sports rope internationally need a slightly longer rope, I use this rope whe I am climbing at my limit as it weighs a little less. The Top gun is 10.5mm in diameter and 50 mtrs long, the perfect rope for working sport routes, it last a very long amount of time and can take lots of falls without the sheeth even looking like its had any wear. Unfortunately it is a little on the heavy side though. As for half ropes I use Beal Icelines or if I am in a working context I use a pair of Verdons…. The Icelines are 8.1mm and 60mtrs in length, these are the best ropes for ice climbing & alpinism. The pair of Verdons I use as half ropes but in a working context,often we will climb in a three and with a person on either rope it needs to be a minimum of a single rope, these ropes are perfect for the job as still light. I would recommend 50 metres as this will be perfect for all indoor walls in the UK, will be suitable for most single pitch crags throughout the UK and good as a sport route. Always make sure you read the guidebook to make sure your rope is long enough to get to the ground again. Diameter I would go for around 10mm, it will be easy enough to hold a fall, could last a reasonable amount of time and will not stretch so much your risking ground falls from a desent height. I always tend to have a dry treated rope, this means when (Not if) you get caught out it makes your life coiling and drying your rope out much easier. You may need to continue your journey with your rope if mountaineering and a light rope is much better than a wet rope!